Images of angels bring a feeling a contentment, love, and a knowing that there is more to life than we can fully comprehend. 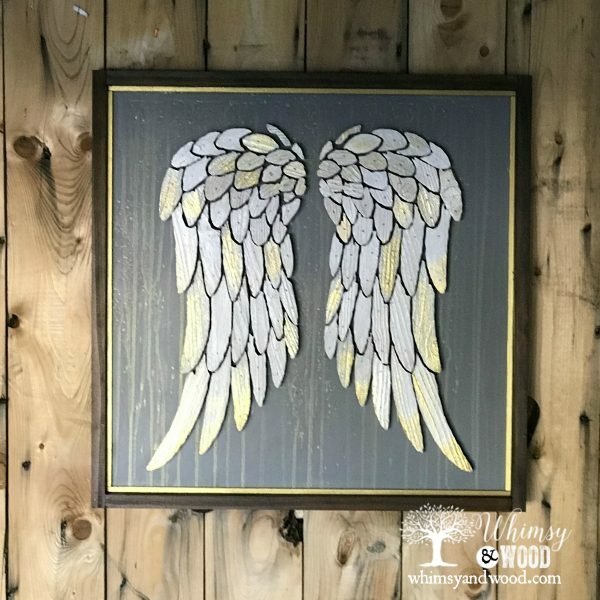 When I work on these special pieces I hold my clients intent, the name, and the story of their family member, the struggles that their angels have helped them overcome, their reason. 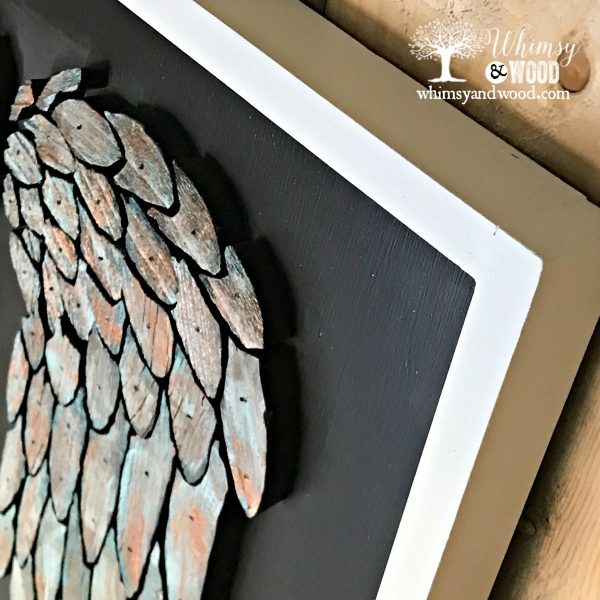 Each piece is cut, painted, and mounted while holding them in our hearts. 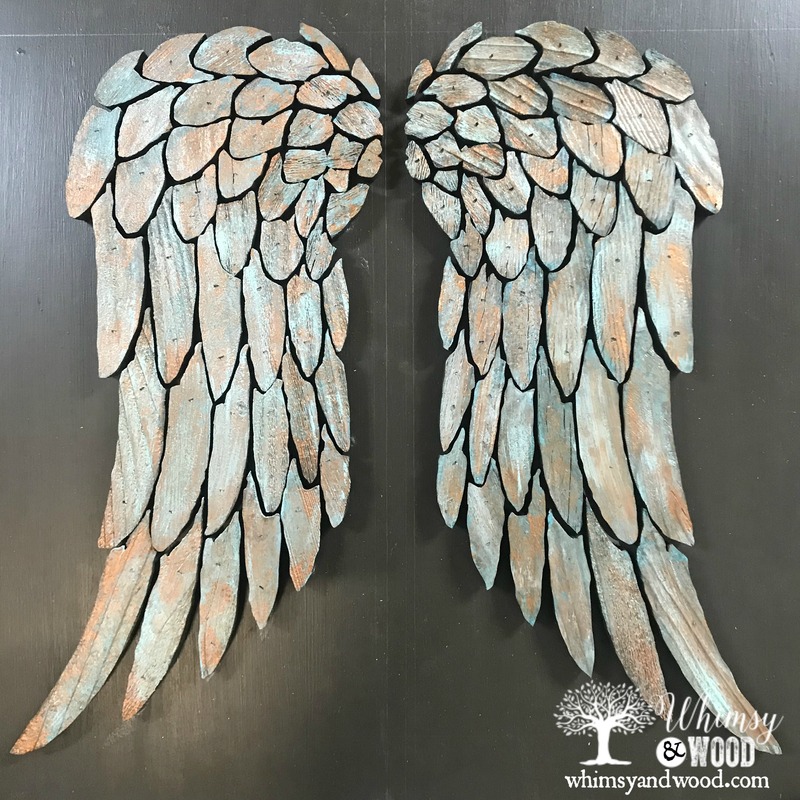 Our Angel Wings are hand cut from reclaimed wood. 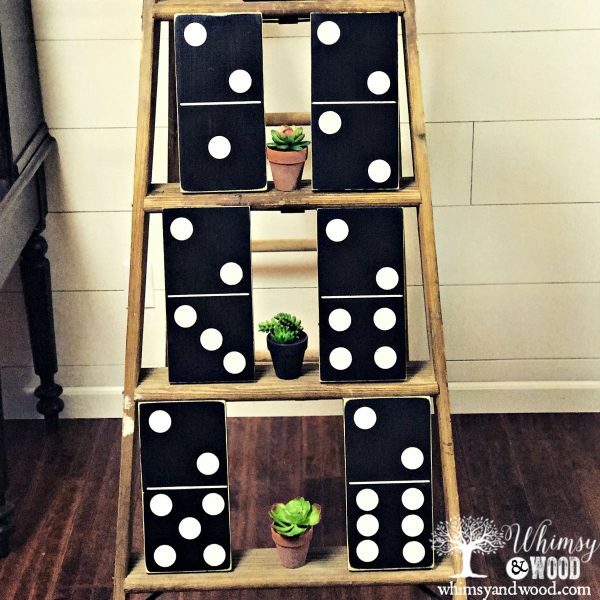 Each piece is individually cut, painted, and mounted. 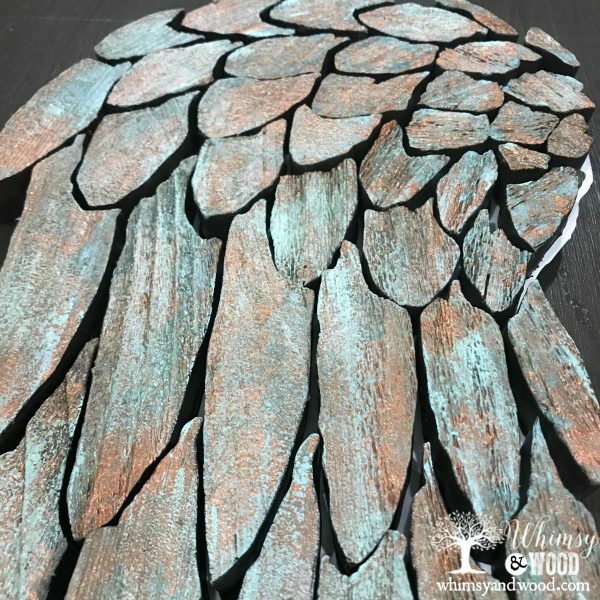 Our Copper Patina Angel Wings are a beautiful combination of metallic copper, greens, teals, and browns. The individual feather pieces are hand cut from wood, individually painted, and mounted. 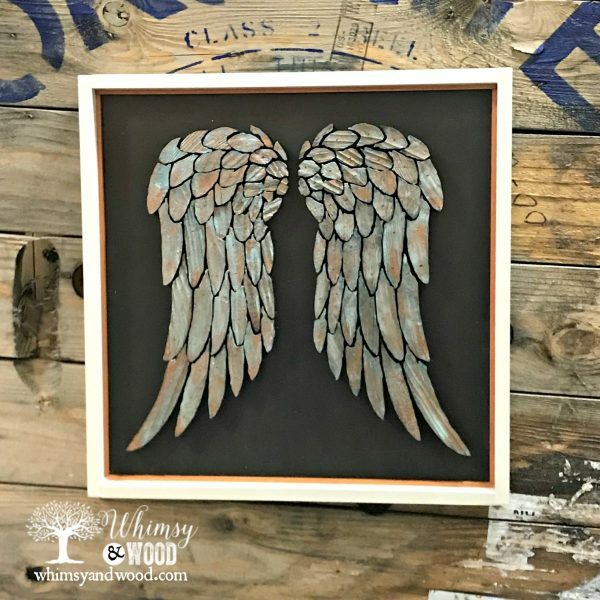 The finished mounted Copper Patina Angel Wings piece is framed and includes a matching metallic look trim piece We do use reclaimed wood whenever possible. 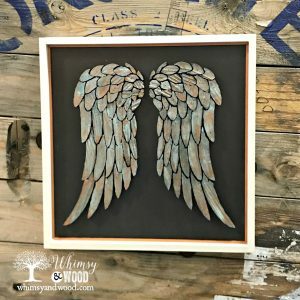 For this Copper Patina Angel Wings set, we have mounted them on a solid dark brown background, trimmed with a metallic copper-colored strip and a warm white frame. 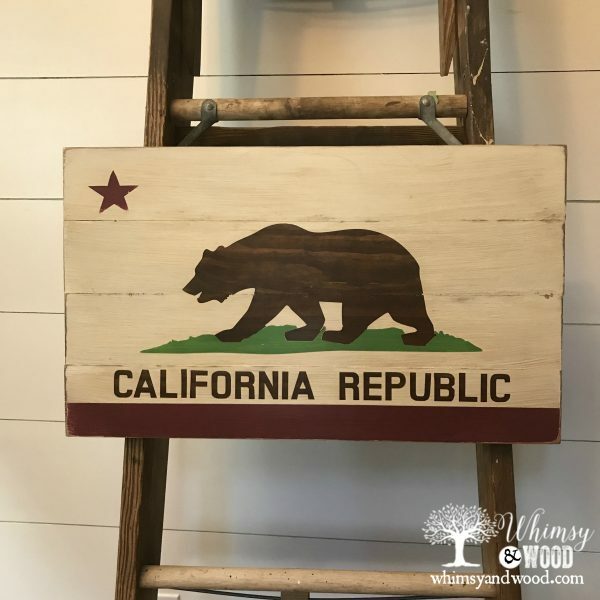 Customization is available please email us at info@whimsyandwood.com to discuss. 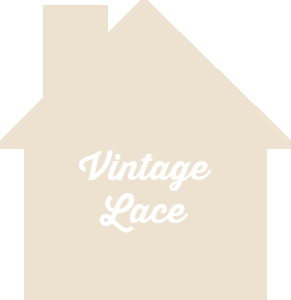 This finished piece is approximately 23.5″ square and approx 1.5″ depth. 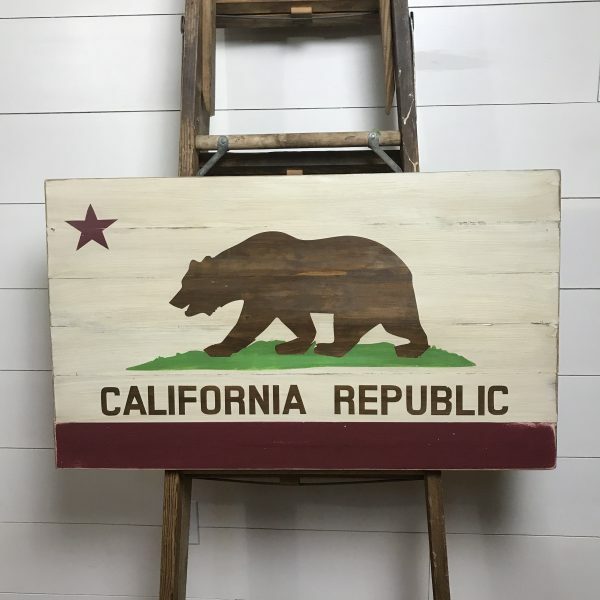 The product is made from wood & paint, the only metal used are the nails used to attach the wood pieces, and frame. 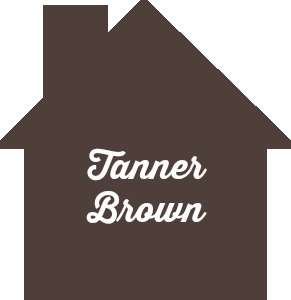 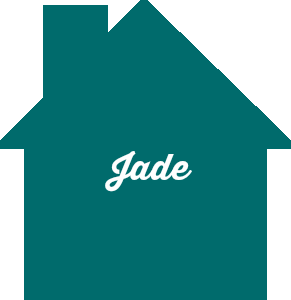 The individual paint colors used are shown in the images. 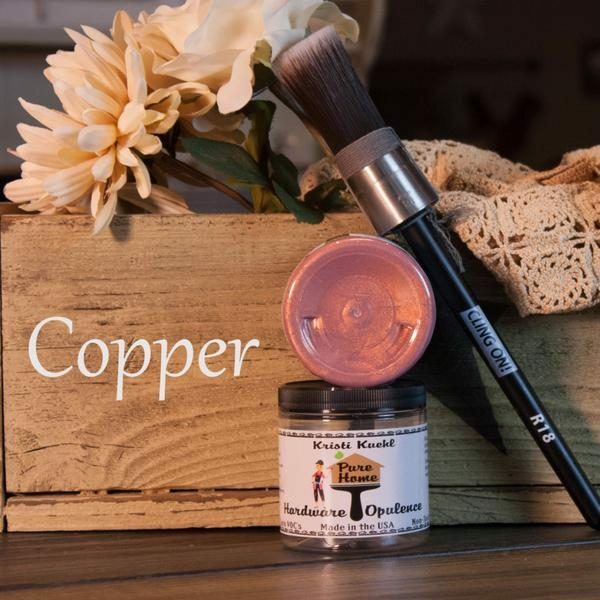 Skye, Jade, Copper Opulence, Tanner Brown, Vintage Lace, and finished with Sable Glaze.